Even before they began dragging passengers off planes like roadkill, domestic air travel had become an experience to be endured rather than enjoyed. The seats are getting smaller, the delays are getting longer and the bathrooms are disappearing. Then there are the passengers — the brawlers, the sprawlers, the drunks, the barefooters, the toenail clippers, the manspreaders, the she-spreaders, the chatty Cathys, the inattentive parents, the PDA-ers, the gym rats, and moreand more drunks. To that end, I asked Masterson; Timothy Roscoe, a fundraiser and public relations executive who’s taken hundreds of flights in recent years; and Daniel Post Senning, Emily Post’s great-great grandson who last told us how to behave at a BBQ to offer advice on managing ourselves while flying the friendly skies. 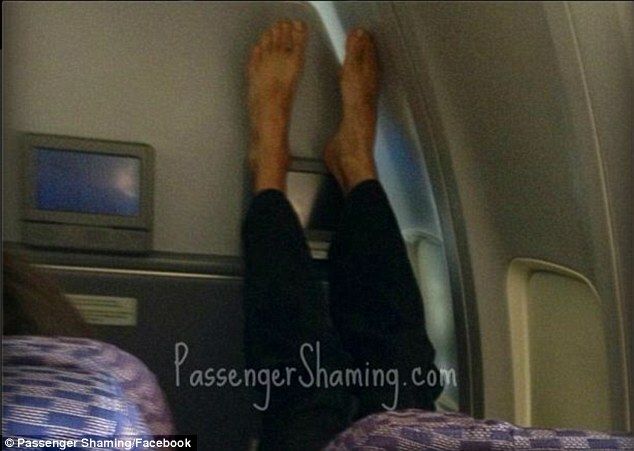 What’s the number one faux pas people commit while flying? Masterson: Cell phones. I really wish passengers would hang up before they board. It’s fine to text — or even to make a quick emergency call if you need to before we close the door — but so many people continue their personal and business calls throughout the entire boarding process. They’re loud and inconsiderate to everyone around them. Roscoe: It bums me out to see people dressed down at the airport. No matter how much you fly, if you’re about to board a plane, it’s a special occasion. You’re about to represent the place you’re coming from to the place you’re going to. I think that merits a sport coat. Does the person in the middle seat get the armrests? Post Senning: I like to give that middle seat a little bit of deference. They have less room to wiggle than people on either end. You also need to take into account the reality of different body shapes and sizes. Seats are getting smaller and smaller. I’m all of 5-foot-8 and 135 pounds. So even if technically that’s my real estate, I often don’t get it if I’m sitting next to someone who’s bigger than me. But if everything else were equal, I like to afford that person in the middle a little bit more room. Is it ever okay to recline? Or on the flip side: Is it always okay to recline? Post Senning: I think it’s about rights and responsibilities. 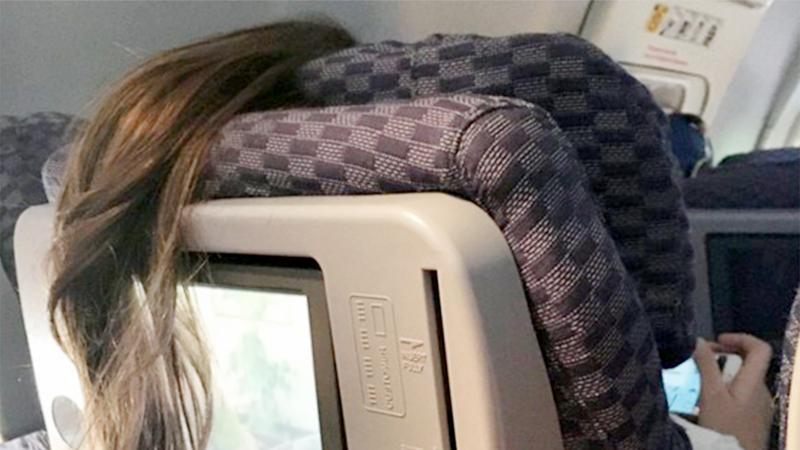 It’s your airline-given right to recline your seat after takeoff when the airline personnel says it’s okay to do so. That said, I think there’s a courtesy to not recline your seat if you’re on a short flight when most people aren’t reclining their seats — or when the person sitting behind me is eating a meal or using their laptop. I generally, though, tend to fall into the kind Midwesterner category and avoid reclining.